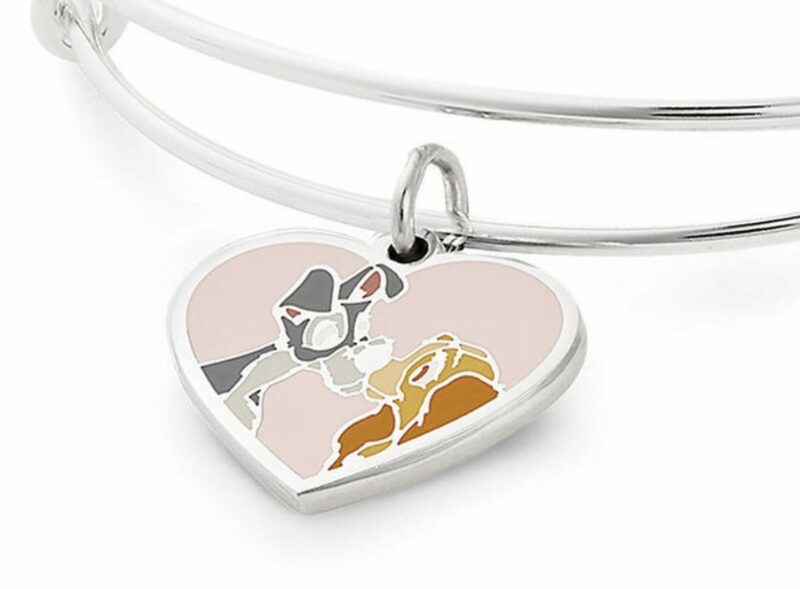 A brand new Alex and Ani bangle has arrived in time for Valentine’s Day featuring Lady and the Tramp. 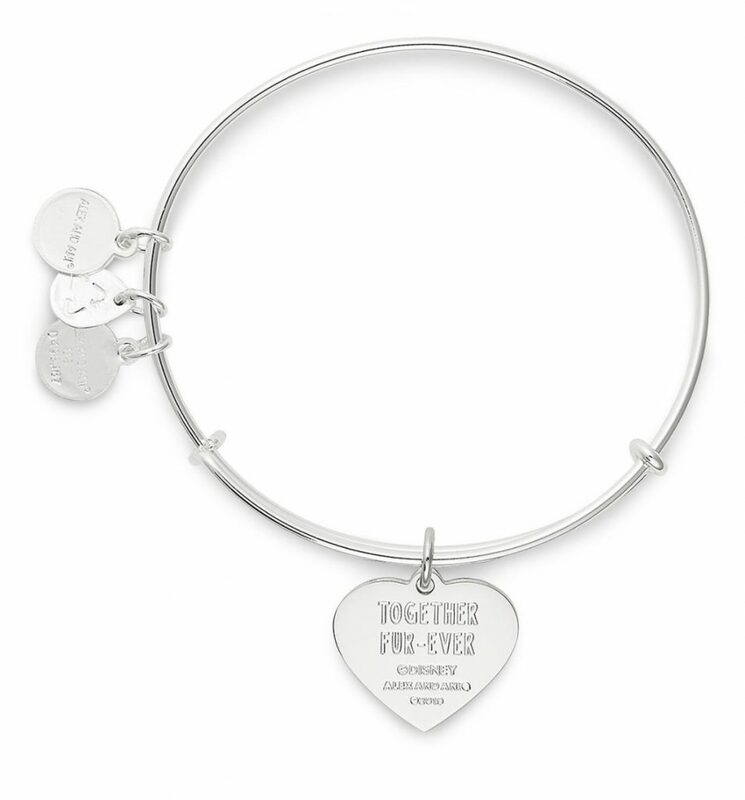 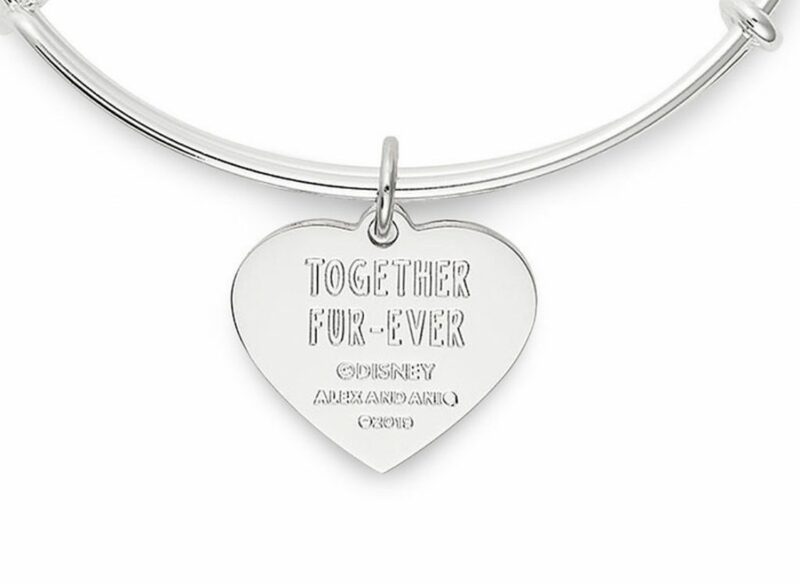 The bangle not only showcases the canine couple, but also “together fur-ever” stamped on the back. 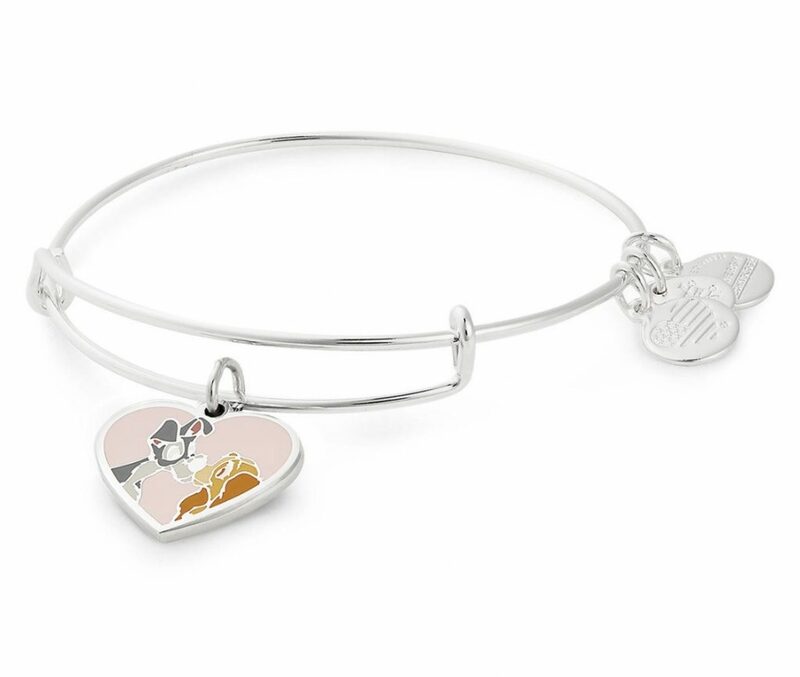 The Lady and the Tramp Alex and Ani bangle retails for $44.95 and is available on ShopDisney.com.